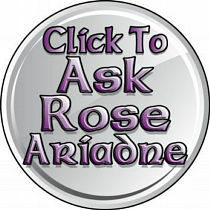 Rose Ariadne has been practicing ancient forms of Witchcraft for over 27 years, after being introduced to the Craft by her grandmother as a young child. Since that time, she has continued her studies by practicing (and researching) ancient forms of Witchcraft dating back to the early Shamans over 10,000 years ago. She has helped countless people to change their lives from all around the world with her Magick teachings and philosphies. Finally Rose has completed her life’s work, “Mastering The Magick Of Witchcraft” where she has put all her knowledge of Witchcraft into an easy to follow, step-by-step Home Academy. If you want to use Magick to bring beautiful love (and friendship), wealth and success, and iron-clad protection for you and your loved ones – her Home Academy will show you exactly how to use the Magick energy you were born with to create these miracles in your life almost overnight.